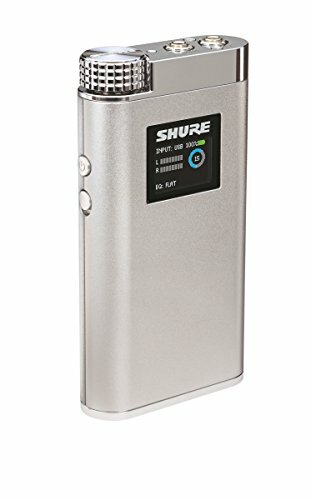 The premium, standalone SHA900 Portable Listening Amplifier features a USB digital-to-analog-converter (DAC) that converts analog or digital audio from portable digital audio sources and computers. For use with high-quality headphones and earphones, the SHA900 features a 24 bit/ 96 kHz conversion rate, customizable 4-band parametric EQ with five standard and 4 user-defined settings, recharge ability and input level meters. The SHA900 can process both digital audio directly via micro USB, analog via a direct line in, or bypass entirely for a pure analog signal without conversion. The SHA900 defines a new standard of portable listening that brings high-fidelity audio into the mobile demands of today’s active lifestyles. Included: SHA900 Portable Listening Amplifier, USB wall charger, Micro-B-to-Lightning cable, Micro-B OTG Cable, (2) 1/8" (3.5mm) cables [6" (15 cm) and 36" (92 cm)], ¼" (6.3mm) adapter, airline adapter, attenuator, (2) security bands, microfiber cleaning cloth.